Prior to joining the firm in 2012, Mr. Petrie was Vice Chairman of Bank of America Merrill Lynch. Previously, he was a co-founder of Petrie Parkman & Co. Mr. Petrie was a former Managing Director and Senior Oil Analyst of The First Boston Corporation. 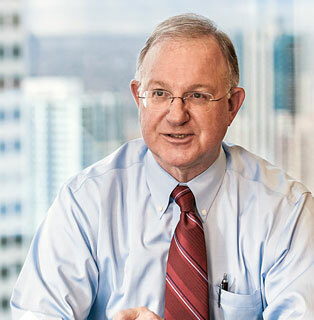 During his career, Mr. Petrie has been an active advisor on more than $250 billion of energy related mergers and acquisitions, including many of the largest in the industry. Among his other assignments, Mr. Petrie led the teams that advised the Kingdom of Saudi Arabia on its natural gas initiative, the State of Alaska on gas pipeline options, and the U.S. Department of Energy on the sale of the Elk Hills oilfield. Mr. Petrie has a Bachelor of Science degree from the United States Military Academy at West Point and received his Master of Science in Business Administration from Boston University. In December 2005, Mr. Petrie received an Honorary Doctorate of Engineering degree from the Colorado School of Mines. He is also a member of the CFA Institute.